The best diagnostic tool for an Audi A6 (C4, C5, C6, C7) is shown below. It all depends if you want an engine scanner code reader, or a kit/tool that will diagnose other systems like ABS, SRS airbags, transmission etc. For the Audi A6 the best tool is the iCarsoft i908 Multi System Diagnostic Tool because it will allow you to read/diagnose diagnostic trouble/warning codes & then reset them, which will turn off the engine warning light. It will work on engine, ABS, SRS airbag, gearbox systems & more. You can buy the tool online and delivery is generally 1-2 working days. Diagnostic code reader can come in many forms, and can be called many things such as OBD2 scanner, OBD2 code reader, EOBD code reader or scanner, Multi System scan tool plus more. 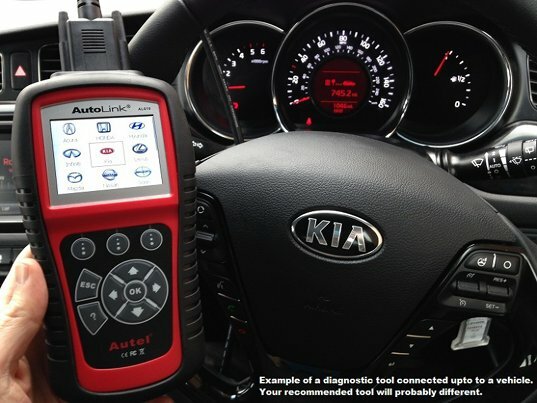 They have the ability to read many different diagnostic protocols (a language used by car diagnostic systems) the tools include protocols such as J1850 VPW, J1850 PWM, ISO15765-4 CAN (11 bit), ISO15765-4 (29 bit), ISO14230-4 KWP, ISO14230-4 KWP (5BPS) & ISO9141.